JV Stangs on a roll with a second shutout win (4-0) against Woodinville Falcons! A different backdrop from the last game, but similar result. Back to typical wet Seattle spring weather, our boys beat the Woodinville High Falcons away at the Pop Keeney stadium in downtown Bothell with another spirited performance. In usual fashion, the Stangs attacked from the starting whistle, with darting runs from the flanks and creative play in the middle. With continuous pressure probing for weaknesses in the Falcons’ defense, the Stangs had a couple of shots on goal early in the first half as well as some breakthroughs. The Falcons had a tough time containing the Stangs from the flanks and paid for it dearly in the 22nd minute. A one-two pass between Cole and Will on the left, saw Cole’s cross cleared by a Falcon defender but the clearance was picked up by Will wide on the left who drew a Falcon defender towards the left corner before passing back to an unmarked Cole at the top of the Falcons’ box. Cole got down to business with a stinging diagonal shot past the outstretched arm of the hapless Falcons’ keeper to the top right corner of the Falcons’ net. For the rest of the half, our boys controlled the tempo of the game and even came close to a second goal in the 33rd minute had it not been for the woodwork. Our boys’ tight formation play and cohesion between the back line and midfield stymied any Falcons attack. The second half started much like the first, with the Stangs firmly in control. Sustained attacks forced the Falcons into defensive play, giving them no chance to mount any meaningful assault. At the 52nd minute, a Stangs attack from the right flank involving Cole, Pablo and Ian resulted in a Pablo tee-up for Cole right at the top of the Falcons’ box for Cole’s second penny in the piggy bank. 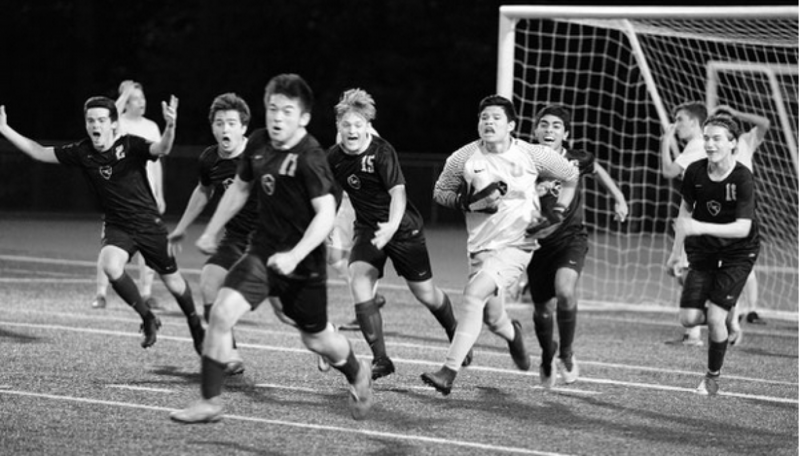 Without taking the foot off the gas pedal, the Stangs forced a haphazard Falcons clearance 5 minutes later that was intercepted by Ryan who took a couple of steps before blasting in the third goal, from ten yards outside the box. The Falcons tried mounting a few attacks but those rare forays were either taken care of by our back line or went a begging. The Stangs wrapped up the game with a bow at the 64th minute. A Ryan corner from the right landed perfectly for Will for a left footed tap in 2 yards from goal. Another notch on the Stang’s belt!!! 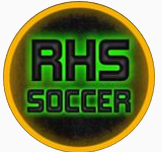 Previous postThey need no introduction – Your RHS Varsity Stangs blank Woodinville 3-0! Next postJV Stangs Continue to Roll With A Third Away Win Against Hazen Highlanders (2 – 0)!! !